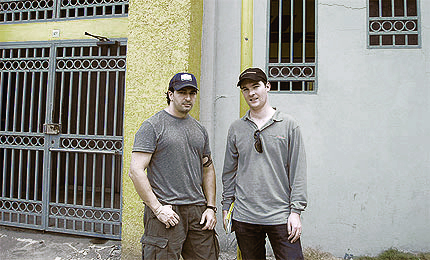 On Tuesday, January 26th, two members of the Thornton Tomasetti Building Performance practice, Sam Cooper (below right) and Vince Aleo (below left), associate and senior engineer, respectively, put their boots on the ground in earthquake-ravaged Haiti evaluating buildings for an insurance company client. 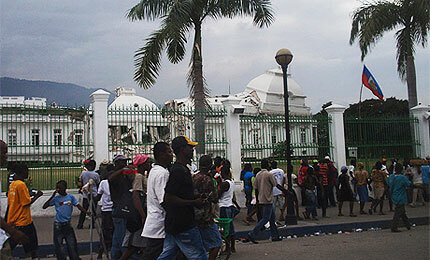 On behalf of our Property Loss Consulting service, Cooper and Aleo evaluated the structural stability of four buildings for express mail and logistics company DHL in and around Port-au-Prince. 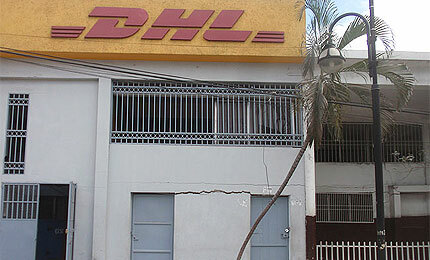 Although DHL leases the space, it wanted the buildings evaluated before its employees returned to work. 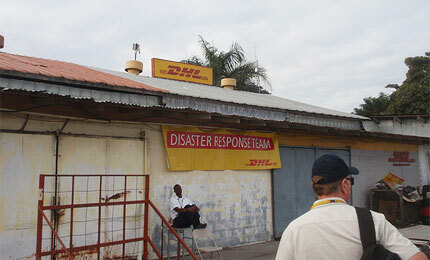 “DHL is helping out with the relief effort, and they want to get their people back into the facilities as soon as possible,” Aleo said. “We went down there to determine if the buildings were safe and to give the employees peace of mind.” The engineers investigate DHL’s main facility, comprising a warehouse and retail store near Por-au-Prince airport, and two retail offices in the city. The investigation included evaluation of the building structural and nonstructural elements such as beams, columns, masonry walls, ceilings, slabs, foundation and mechanical-electrical-plumbing systems.